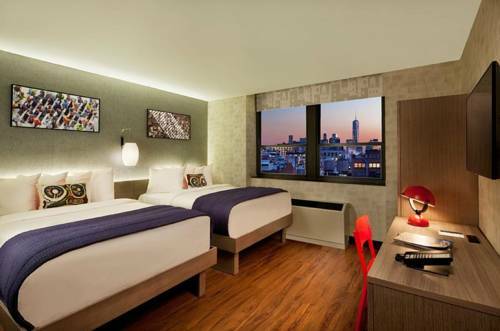 Let the destination reach you at The Paul, an Ascend Hotel Collection Member hotel in New York, NY. Conveniently located in the NoMad neighborhood of Manhattan, this 100 percent smoke-free boutique hotel is a unique reflection of the community and helps you to feel like a part of the local scene, which includes the Empire State Building, Madison Square Garden, Times Square and Fifth Avenue. Enjoy such upscale amenities as free WiFi, meeting space, business center, restaurant and bar. Guest rooms feature a flat-screen TV, iPod docking system, coffee maker, hair dryer, iron and ironing board. The more often you stay with us, the more rewards you earn through our Choice Privileges program.